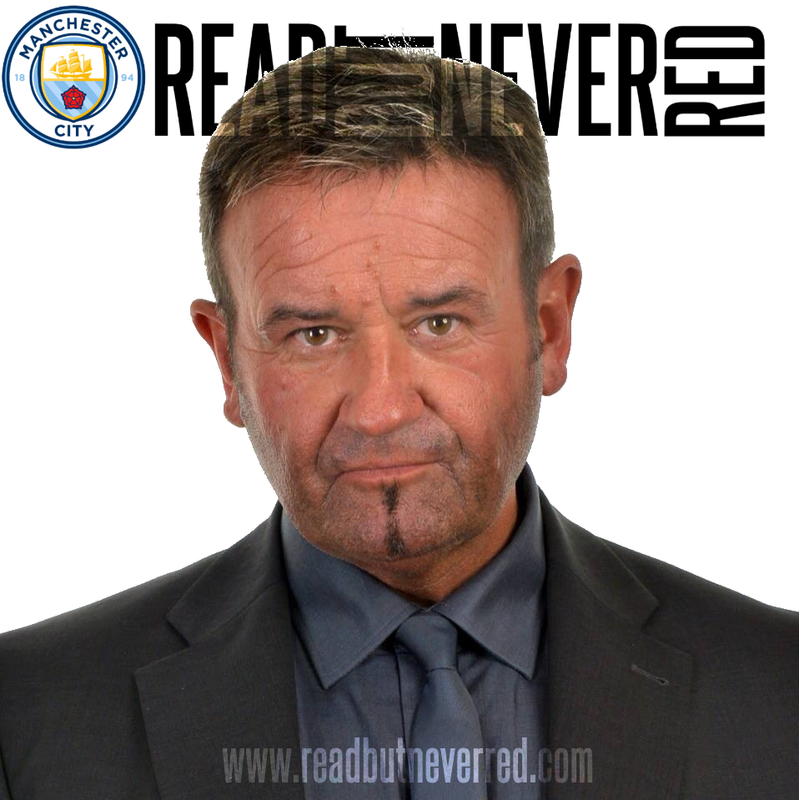 Manuel Pellegrini rang the changes, the Etihad rang out rejoicing in victory and just about everybody in the 47,267 crowd would happily have the rung ref Jonathan Moss’ neck! ‘The Engineer’ – Pellegrini’s nickname – re-tuned his Manchester City machine after both Aston Villa, but more tellingly, Bayern Munich, had thrown dirty great spanners into the works, to see his much changed City side beat their Everton bogey. In the same fashion that 1-3 had flattered City after they were annihilated by Bayern, so too the 3-1 margin was kind to Roberto Martinez’s team, who for so long have been City’s nemesis. An absorbing, open and attacking game was marred by Moss – not a criticism of the Etihad playing surface – but an observation of a somewhat stout individual who stood out for all the wrong reasons. The standard of officiating in the Premier League nowadays is subjective and contentious at the best of times. Yes, it’s universally acknowledged the speed of the game and antics of some players who cheat and dive, make it an extremely challenging job. Irate fans often question the judgements, abilities even the integrity of referees and their ‘assistants’, but fair to say most who watched this match would concur that Jonathan Moss was frighteningly inept. His colleague Phil Dowd, renowned for his roundness of midriff has managed to shed two stone during the summer to improve his fitness levels. If asked how he did it, don’t be surprised if Dowd revealed that his extra 28lbs was grafted onto Mr Moss’ ample frame. Normally 30 yards away from play at any given time, it appeared the Yorkshire official’s (I resisted a Yorkie bar pun) game plan was to cover a minimum distance, whilst delving out the maximum number of cards – nine all told. This would tie in with his new charity ‘Yards for Lards’ and a sponsorship deal with Clintons. Looking resplendent in his banana custard-coloured shirt, Moss was a yellow peril throughout proceedings, effectively spoiling a keenly contested encounter because he was comparatively clueless as to what was going on. Pre-kick off rumours were circulating that ‘The Engineer’ had taken his jigsaw to Joe Hart, cut him from the team, and replaced him in the hope that Romanian keeper, Costel Pantilimon would provide a better fit, at least in the short-term. When the team sheets were revealed Joe was still in there– thank goodness. However, Richards, Clichy, Nastasic, Dzeko , Nasri and Navas had not survived the cull, although some might call it a rotation policy! Zabaleta, Kolarov, Lescott, Milner, Silva and Negredo came in and, it has to be said, City were all the better for it…but then again Everton aren’t Bayern Munich. What ultimately turned out to be a very efficient and encouraging City display, didn’t get off to a flyer as Romelu Lukaku nearly scored for the visitors within 20 seconds, thwarted by a Lescott-Hart combination. The City duo didn’t fair so well in the 16th minute when the big Belgian striker collected a long ball punted upfield, cut in from the right, easily beating a back-tracking Lescott, and placed the ball wide of Hart, despite him getting a hand on it. 1-0 Everton and cue pernicious commentaries as the media seize on every scrap of ‘evidence’ to besmirch the England keeper’s reputation and abilities. At just 26 years, Hart is comparatively young in goalkeeping terms, and undoubtedly there are malevolent elements ‘out to get’ Joe. As to why, who knows – it undermines the player, therefore the team, the club, causes upset and makes for easy copy for lazy journalists, embittered by City’s rise to prominence. Within 60 seconds City gave a giant ‘V’ sign to the vultures hoping to feed off the negativity,when a certain Beast from Sevilla fired home after a superb assist from Yaya Toure. The Big Ivorian, surrounded by four Everton defenders, slipped a perfect through ball to Negredo who placed the ball to Tim Howard’s right and into the net. City’s lightning riposte meant the vociferous Toffees support were immediately put back in their wrappers and quietened. Now playing at a tempo that was severely stretching the Goodison side’s resistance, City fashioned a well-crafted free kick involving Fernandinho, Milner Silva and Aguero, with the Argentine’s shot going agonizingly close. Vincent Kompany departed the field of play for a second time this season with a possible re-occurence of the groin injury that saw him miss three PL fixtures against Cardiff, Hull & Stoke. The extent of the injury and ramifications are still to be determined but it’ll be a massive loss if the skipper is once again sidelined. Aguero – having a poor game by his own impeccable standards – then inexplicably stumbled over his own foot after Negredo played the ball through, with the striker in ‘acres’ of space in front of goal. Sergio persevered and was duly rewarded on the stroke of half-time. With Silva creating the opening, the magical little Spaniard slid the ball down the right side of the Merseysider’s defence. Aguero locked onto it with his laser-guided right foot, outpaced ex-City skipper, Sylvain ‘Dustbin’ Distin and sent a low exocet-like strike whizzing across Howard from an acute angle. It was a well deserved lead on the stroke of half time, with City further buoyed by the statistic that they have yet to lose a Premier League game when Aguero scores. Everton’s initial purpose had dissipated, despite nice touches from Lukaku, the young Barkley and the surprisingly annoying Naismith on the left flank, making life uncomfortable for Zabaleta. As the match wore on the sight of Martinez in the technical area – not Gollum the Glaswegian Gargoyle – and the lack of Fellaini the mop headed marauder on the field, somehow defined that this was going to be City’s day. Much nicer to have City’s past tormentors in the red of Manure, where they are a whole lot easier to beat. City’s win was wrapped up by a Seamus Coleman foul on Zabaleta leading to the penalty that Aguero – with help from Tim Howard’s head – managed to convert. The Everton keeper so nearly saved it, but despite his anguish, BT Sports viewers were spared a torrent of the American keeper’s Tourette Syndrome affliction. The home fans were more likely to be cursing a missed opportunity to acknowledge the past contributions of Gareth Barry – now on loan at Goodison – and would have appreciated a brief GB appearance on the pitch, albeit suited and booted to effectively say ‘thanks & goodbye’. No stopping – Aguero’s penalty makes it over the line & 3-1 City! City’s 100% home record in the PL is next challenged by Norwich – the Canaries who had the temerity to win at the Etihad in a surreal and very lacklustre finale to last season. Before that City need to keep their PL title ambitions on track on the road and ‘engineer’ some much needed away wins at West Ham and Chelsea. In between the trips to London, City fly to Moscow for a vital Champions League contest with CSKA. If City can capitalise on their travels and take all nine points they’ll be near the peak if not at the peak of the PL, and potentially 90 minutes from the knockout stage of the UCL. That would lift any lingering clouds surrounding Pellegrini’s appointment. Oh yes, and no more frights from the Bogeyman down the East Lancs Road! Errr...no. They were better when they were part-time. They're already full time and the overwhelming majority are just not very good at doing their jobs. Three much needed points going into the next break for World Cup qualifying matches. An interesting point above about referees and assistants - the same complaint is made in another sport I follow closely, Rugby League (another win at the swamp, BTW). The standards seem to have dropped alarmingly following full time professionalism. It's curious isn't it - upgrade officials to full time 'professionals' and they immediately become rank amateurs. I think some the of the football referees think they are actually 'stars' - personalities of the game in their own right. Moss insisted on players having to walk back to him as if they were naughty schoolboys while he stood there, flamboyantly displaying his yellow card. Is it because they know they're on live TV - surely they can't be THAT shallow...can they? It was a very good performance yesterday. Lescott looked back to his confident best, Milner tireless as always, Silva pulling the strings and Negredo providing the muscle. I was sat in the Family Stand and had a close up view of Negredo in the second half. His touch and energy were excellent, he is quickly becoming a fans favourite and hopefully prove to be the signing of the season. MP might have found his best starting 11 if Kompany hadn't got injured? As post the derby, City need to take this level of performance away with them, otherwise it will be a case of 1 step forward then 1 step back, again. Let's keep the faith in Joe and MP and I'm sure we'll have more good days than bad. If we can once again get into the habit of winning away we could be in a very strong position by mid-November. UCL qualification assured and looking down on the rest of the PL. I think we should buy Malanga from Porto £25m in January as Vinnie is becoming injury prone. 1) I thought we actually looked more solid in defense once Kompany went off - make of that what you will! 2) Aleksander Kolarov continues to impress, and had a great game yet again. Pity nobody got on the end of several of his lethal crosses, otherwise we'd have had more than 3 goals. 3) Fernandinho (whether homesick or not) is definitely settling in and improving with each and every game, and is starting to develop an understanding with Yaya that looks very promising. 4) Samir Nasri continues to impress and looks to be much more "up for it" than I can ever remember. All points totally valid and I thought Lescott suddenly had a transfusion of responsibility, stepped up to the plate and coped admirably with Lukaku. Ref Kolarov, yes he is improving and had we a Goateresque-type player out there e.g. the ball hits his knee, ankle, backside etc we could have buried them. Evertonians claiming it was close, that Milner should have had a red rather than a yellow card - I actually thought he got the ball, that Lukaku should have had a penalty when Nasty shoved him (he should actually) and that the Mad Moss should have stopped play when Coleman laid his hands on Negredo, therefore the Silva pass to Aguero wouldn't have happened. I would counter that Naismith should have had a second yellow for pushing Kolarov into Nastasic and Coleman should have had a second yellow for raising his hands to Negredo. I am still to be convinced by Fernandinho, but I have many telling me that he's doing a 'fantastic' job. I just don't see it at the moment but don't doubt that it will come. As for Gaz Baz I'd put him ahead of Javi Garcia all day long. I'd seek to sell Garcia in Jan to a continental side who'll see value at £12m. He just can't cut it in the PL. If Vinny is going to be out for any length of time it'll be interesting to see when Demechelis is to be fit otherewise we're back to perm any two from Nasty, Lescott, Richards, Boyata or the aforementioned Garcia - Gawd help us. The main disappointment from yesterday for me is yet another injury for Kompany. In my 29 years as a season ticket holder he's probably the best defender I've seen play for City. Unfortunately he's now become very injury prone, we need to start searching now and sign a top draw CB to take over his mental as I fear that we'll never get more than half a season from him. Great result and really should of been more if Segio would of had his shooting boots on. Overall great performance and response after the mid week mishap. Agree. I believe we have the young French international Mangala from Porto on the radar - possibly for January. In the meantime let's hope it's not serious for V.K. It will be interesting to see if Demechelis is ready to step up and prove his worth. We desperately wanted Pepe in the summer but Madrid wouldn't sell because of a lack of cover. The scum media have been vile to Joe this week (some of our own fans weren't much better) Glad MP kept faith with him, he was left very exposed!!!!! I also think we should bombard Gary Lineker to try to get the disgracefully biased commentator on MOTD off any future City matches. Start a riot David! Start a riot - I mean do I look like a member of the Kaiser Chiefs? Yes, the commentary by Steve Wilson was appalling I have no idea what his not so well hidden agenda was but he ceratinly had it in for Joe Hart and to suggest that the scoreline 'flattered' City had we scored a fourth was outrageous. If Sergio had had his boots on the right feet and Negredo connected with some brilliant crosses from Kolarov it could have been 7 or 8. More than happy with 3-1, but MOTD really don't like City so not exactly a shock. A much needed 3pts Dave against a very good side will do us the world of good. It could been more Aquerrooooooooooooo missed two brilliant chances him & Negredo looks a good fit up front & surely must be first choice. Everton should of had a pen in my opinion, citys was a soft one but Zab is not a player in that dives. Officals were poor again but that for me is a on going problem. Still think defense is work in progress Lescott for me just dosent do it . Kolarov is much improved Kompany seems injury prone clichy is way off hes better than hes showing Joe should of been rested for me he still looks like a guy short on confidence but I hope he proves me wrong. Just hope defence gets it together sooner ratherthan later then we really will have a team. City are adjusting to new defensive tactics and formations and the backline has been very disrupted by injuries etc. We are shipping far too many goals but that's because MP has put the emphasis on a more attacking style. It'll balance out given time, but we must ensure we stay in the mix during the period of adjustment. 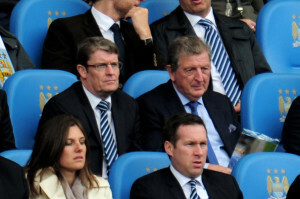 Personally I'd stick with Joe and take a look at the calibre of coaching he is getting day in and day out. Forgot to say Silva was back to his best probing & passing in style. Milner was solid a they will not pass performance. Nasri just gets better & better. Pity Cituy didn't let Garth Barry come on & say goodbye & let the fans thank him for what he's done for the club. Yes, I didn't think it was asking too much or compromising anybody at MCFC to have had a a farewell acknowledgement for Gaz Baz. My one regret of the transfer window is that we didn't go for Ozil from Real Madrid - an upgrade on Nasri and arguably even on Silva #controversial!!!! Thanks Andy - refereeing standards are incredibly poor e.g. Moss Jones Mason Marriner Foy Clattenberg Atkinson Probert Taylor 'Howard the Red' - pretty darn poor. The only one I'd give house room to is Mike Dean...and he incorrectly sent Kompany off at the Emirates last season. I honestly believe refs were better when they were part time - or is it the levels of expectations are so much higher nowadays? Entertaining read as always.We needed this result after Bayern. Couldn't believe what I heard when MOTD commentator said result flattered City....We dominated after shakey first 20 minutes or so and could have easily won 5 or 6-1 in the end. Agree with all the comments about referees and this latest one was hopeless.Why is it that the officials in European matches always look so much fitter than most of ours ? Don't think the early goal conceded helped us against Bayern but they are a terrific team & this is the standard we need to be aiming for in future. If Man U are not going to win the Premiership title,the media would love to see Arsenal or Spurs in their place.I don't think either are good enough so delighted that they both dropped points at weekend. Not intended as arrogance but the PL is ours to lose even when we are three points off the top of the table. If - IF - we play to our strengths and potential we can win the league this year. However, the same could have been said of last season...& look where that got us!